In the real estate business, your vehicle can feel like your office. Driving to showings, closings and more while keeping up with client emails, texts and phone calls is not easy. But resisting the temptation to take your eyes off the road to check your phone may save a life. To help tackle the ever-increasing problem of distracted driving, a Sartell, Minn. man invented the CELLslip. 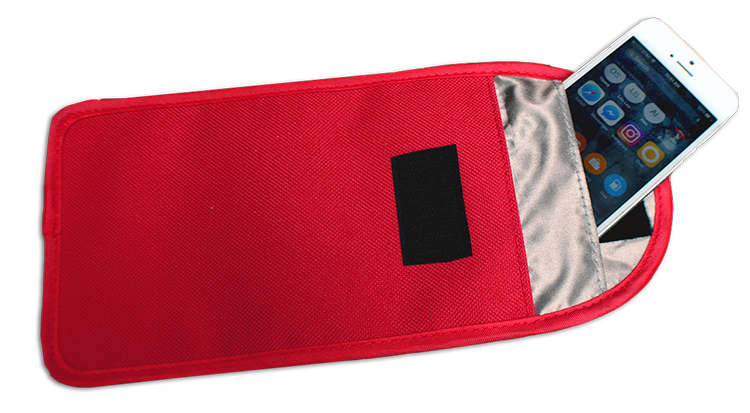 It’s a pouch with a Velcro closure that blocks cell signals via a metal-infused conductive fabric lining designed to prevent drivers from being distracted by their phones. However, no calls or texts are missed, with your messages waiting for you when you arrive at your destination. Since it became available to consumers last November, CELLslip has already been featured in local print, radio and TV media, and has the support of AAA, the Minnesota Safety Council and the Traffic Safety Foundation. As part of our ongoing Drive Focused campaign, we’ve partnered with CELLslip to make it available to NorthstarMLS subscribers at a discounted price. Just use promo code Drive Focused and you’ll save 30% off your entire order. The price includes free shipping. Volume discounts are available so you can pick up extras for your office, team and/or family.